Get to know the superstition and folklore of the late 18th Century through a "haunted house" tour. 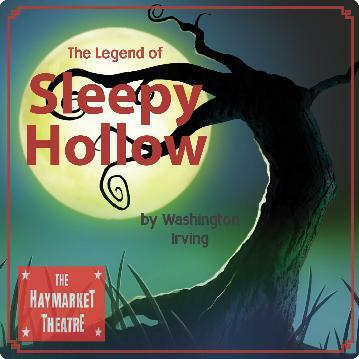 Then partake in fall goodies before continuing your antique experience by watching our Youth Class perform The Legend of Sleepy Hollow by Christopher Cartmill. The production will be enhanced by set pieces designed by UNL art students. "In this wickedly funny adaptation of Washington Irving's classic tale of superstition and village rivalry, gawky schoolmaster Ichabod Crane fancies himself a dashing, worldly man of learning, capable of winning the heart of Katrina Van Tassel. Will this beautiful daughter of a wealthy local farmer return Ichabod's affections, or does she have other ideas? What will be the outcome when Ichabod confronts his desires, fears, and of course, the Headless Horseman of Sleepy Hollow?"